Stats as of Nov. 12, article originally written Nov. 12. The Golden State Warriors are a franchise-best 10-0 to start the 2015-16 season. However, there is still chatter about the team’s 2015 championship run. Many undermine the title due to injuries to their opponents. I believe the Warriors are fully deserving of the trophy and will be a force to be reckoned with in the NBA for the foreseeable future. In the playoffs last season, Golden State defeated the New Orleans Pelicans, Memphis Grizzlies, Houston Rockets and Cleveland Cavaliers to win the championship. All of these teams were crippled with injuries at the guard position. Therefore, the Warriors’ achievement got overlooked by the media, analysts and other teams. Sure, the Warriors faced teams with injured players, but who’s to say those teams could have beat them even if fully healthy? 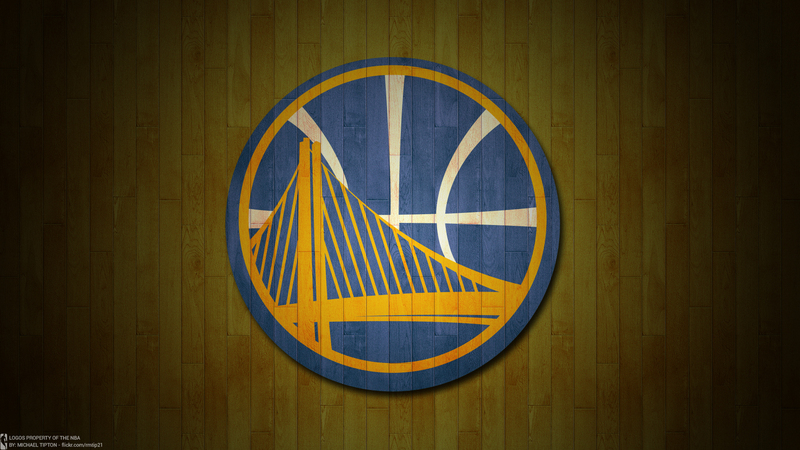 A year ago Golden State was ranked in the top-five in offensive and defensive efficiency. This year the wild-wild Western Conference has gotten even tougher with the Rockets, Clippers and San Antonio Spurs making huge additions to their teams. Let’s not forget that the Oklahoma City Thunder have superstar forward Kevin Durant back after an injury-riddled 2014 season. Golden State is not favored to win it all this season, mainly because they have not made any upgrades to the team. But why try to fix something that is not broken? They built a great team around Stephen Curry and Klay Thomson, who are arguably the best backcourt in the NBA. Furthermore, ESPN disrespected Curry, the reigning league Most Valuable Player, by leaving him out of the top-three players favored to win that award this year. What makes Curry a better shooter than greats like Reggie Miller and Ray Allen is his ability to create his shot off the dribble, as well as his quick release. Miller even had some kind words for the Warriors’ All-Star two years ago. Curry is possibly the toughest player to defend, even more so than LeBron James. Of course, Curry is a deadly shooter; however, he can also handle the ball, take it to the race, finish in the paint, draw double teams off the pick and dish it to his teammates. The league’s ‘Golden Boy’ racked up over 213 points through the first six games, the most scored in such a stretch since Michael Jordan did it 26 years ago (214 points), according to the Chicago Sun Times. He is averaging 33.3 PPG and 5.6 APG. Along with that, he is shooting 53 percent from the field and 47 percent from beyond the arc. Chef Curry is cooking some point guards in his first few games. Opposing defenses have to be aware of him as soon as he crosses half court. The pick-and-roll defenders are forced to play up on him because he can pull the trigger in a second, from anywhere on the floor. Plus he plays some sneaky defense, as he is currently tied for the league-lead in steals with 24. Curry’s abilities make him a premier talent in the league and a franchise player for Golden State. Yet what makes the Warriors a title contender is their team structure. 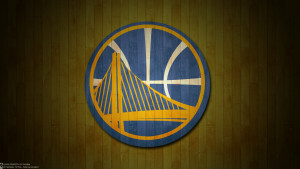 The Warriors are the best in the small-ball game, which is becoming the popular style of play in the league of late. They have plenty of young, athletic and versatile players. Power forward Draymond Green is a stretch forward who can often hit from long range and defend multiple positions. Forward Andre Iguodala is another versatile player bringing energy off the bench, along with Shawn Livingston and Leandro Barbosa. There are at least five players on the team that can score from outside and create their own shots. It’s a guard-oriented league now and the Warriors are the perfect embodiment of small-ball basketball. The Warriors are a mismatch for some of the elite teams in the West, mainly because of Curry and Green. Not many point guards can stop Curry, and he commands a double team on the pick-and-roll. Green can pull the big men away from the rim, which then allows Curry and Thompson to penetrate. Through 10 games, Golden State is ranked first in assists (28.8), second in points (113.2) and third in steals (9.7) per game. It’s not so surprising because the Warriors are only continuing what they did last season. It seems too easy for the team right now; their true test lays ahead in the playoffs where they’ll have to revalidate their championship legitimacy. Golden State can really make a statement as the dominant force in the NBA by winning the 2016 championship, which is a high possibility. The Warriors built a well-structured team around their superstar Steph Curry. Head coach Steve Kerr took over the team from Mark Jackson a season ago and brought it to another level. In Kerr’s absence so far this season, interim head coach Luke Walton has done a more than capable job leading the reigning champions. This is just the first of many years to come for the Warriors as the face of the league. Disclaimer: The opinions of this author do not reflect those of The Whit. Next articleNFL headed back to LA?